With the semester in full swing, your wallet probably feels drained from tuition, textbooks, groceries and what not. An empty bank account makes Tallahassee seem pretty bleak. Especially since your weekends aren’t consumed with tailgating and football games. The humdrum school days seem to drag on in the same routine: wake up, go to classes, study, sleep, repeat. Lost in the cycle, you forget that life exists outside of it. However, Tallahassee has a lot to offer if you look just a little bit further than the confines of FSU’s campus. 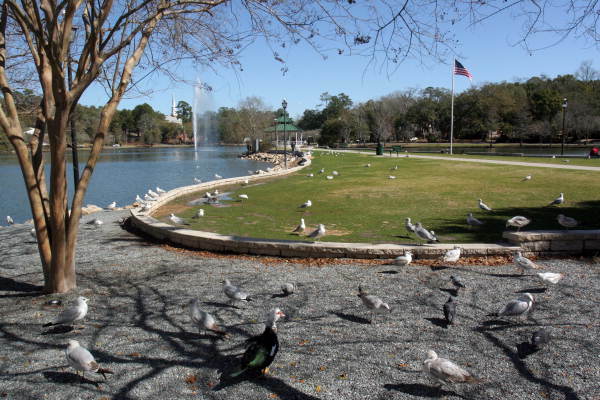 Lake Ella, just a short drive to the outskirts of Tallahassee’s downtown area, houses various shops and eateries bordering its lake. You can grab a coffee at Black Dog Café while you work on some homework, bounce in and out of unique shops like Quarter Moon or Yarn Therapy and enjoy the simplicity of Lake Ella. “Feeding the ducks! !” Lindsay Cosby Florida State University undergraduate said. A seemingly mundane activity, feeding the ducks can actually give peace of mind to a stressed-out student. Just relax, forget your assignments for a moment and watch as the ducks squabble and peck at remnants of soft white bread. 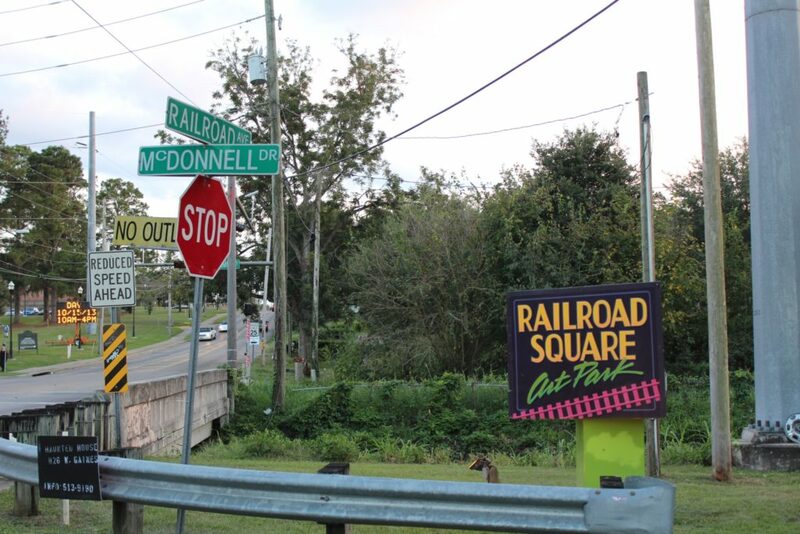 Tucked away behind the train tracks along the border of FAMU’s campus and College Town, a maze of brightly painted restaurants, obscure local shops and mesmerizing galleries hide in Railroad Square Art Park. And the park allows for more than just a visit. The most enticing event occurs on the first Friday of each month. “First Friday is one of my favorite events in Tallahassee. It’s a community with great thrifting, live music, art and lots of food options,” Florida State University student Denice Wright said. Tallahassee students and residents alike patiently await each month to experience First Friday’s spoils. New and old artists exhibit their works to the public. The playhouse holds an open house to rehearsals and performances. Food trucks swarm and serve hungry visitors while musicians perform every few hundred feet and shops stay open late. While you wander from shop to shop, stop by the Crum Box Gastgarden to try some of their famous sausages and wash it down with a glass of house-made sangria from Black Dog Café. If sausages and sangria aren’t for you, the food trucks will fulfill any desire from ice cream and gourmet grilled cheeses, to authentic empanadas that are bound to make your mouth water. Cascades Park one of many hidden within Leon County, has a lot to offer to those who enjoy the outdoors. Florida State University junior, Carolina Baquerizo, says, “I like longboarding at Cascades. The trails are so easy to maneuver, the concrete is so smooth, no bumps.” Various paths and trails intertwine and flow through the park for runners, walkers, skaters and bikers to enjoy. Cascades also caters to those seeking more peaceful activities. The sections of plush grass welcome visitors to have picnics, yoga sessions or a quiet place to read and just relax. Tallahassee doesn’t have the same kind of high end, reservation-months-in-advance restaurant scene like New York City. But it does have some cute local places to grab a bite. 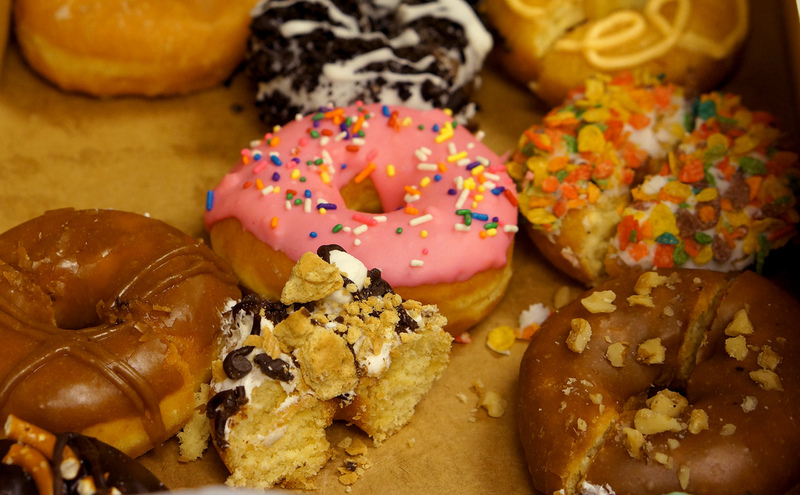 “I enjoy the only-in-Tally eateries like Donut Kingdom where you can score Fruity Pebbles donuts,” Florida State University student Garrison Jackson said. Check out Tallahassee’s very own local brewery, Proof, or a gourmet milkshake shop, Sugar Rush Bar. And for a taste of the very best brunch in town, stop by Bada Bean. 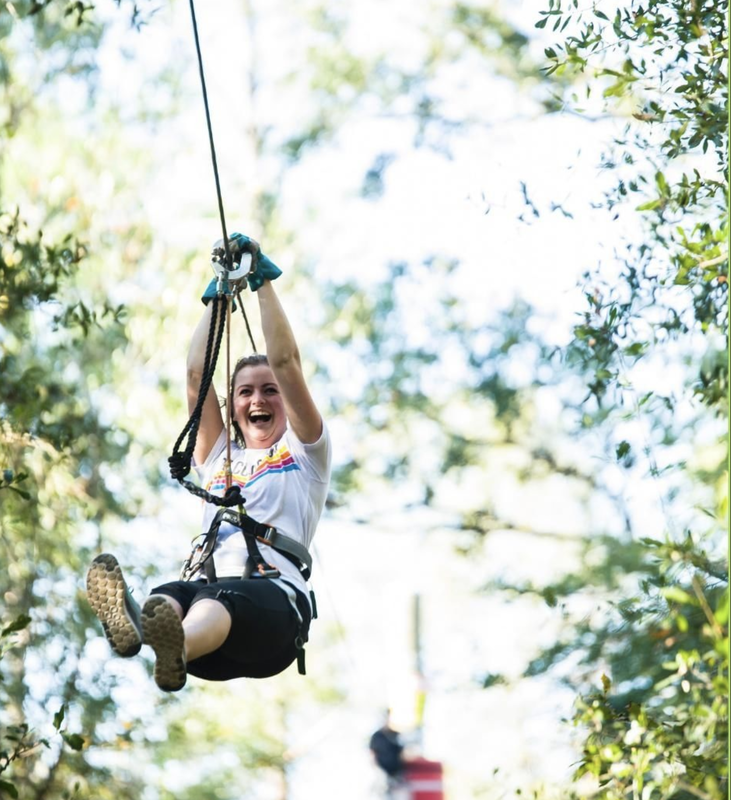 Some of the cheapest and most fun things to do in Tallahassee can be found right on campus. “One of my favorite things to do is longboard on campus near the psychology building or go for a run on the track.” FSU’s campus offers a multitude of activities for outdoor enthusiasts and some for the not-so-athletically-keen like the Askew Student Life Center movie theater. 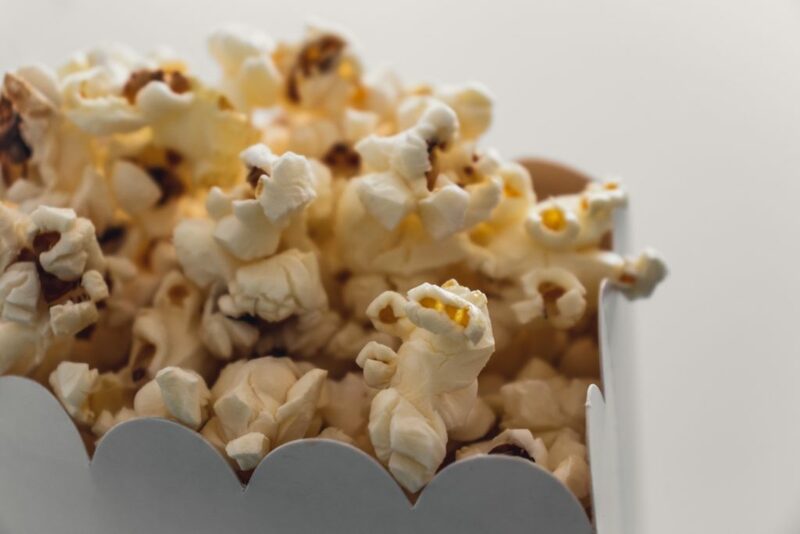 Not enough students take advantage of the free movie entry, reasonably priced theater snacks and amazing movies. The ASLC, more often than not, holds advance screenings to films not in theaters yet or screenings of brand-new films just off the big screen. For more of a dark entertainment source, visit the Terror of Tallahassee. 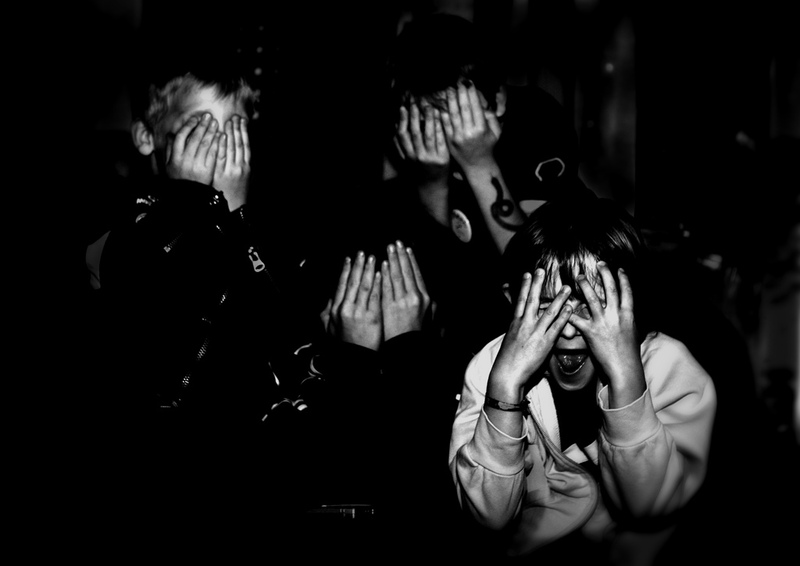 “It’s like a mini Halloween Horror Nights,” Florida State University senior Joey Fiorello said. Located in a sketchy cinderblock building down Lake Bradford road, the Terror of Tallahassee contains a series of wandering rooms that pray on your every fear. And even though it’s only open during the Fall semester, what better way to get ready for the spooky season than to get scared out of your mind at a local haunted house? To the average college student, a museum seems like just another place to learn rather than enjoy yourself. However, you don’t just mindlessly walk through different exhibits looking at pictures and dioramas from Florida’s history, you experience it. “It has a little zoo with animals and zip lining,” FSU student Mallory Morgan said. Maybe after a hard day of classes or just on a nice weekend, you can head over to the Tallahassee Museum, meet all of the cute critters and soar through the skies. 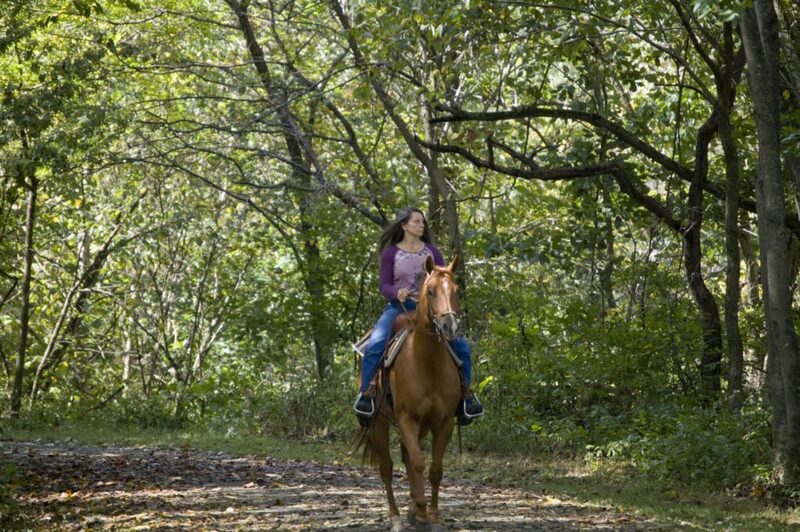 Cypress Run Farm and Trail Rides resides a bit further out in Crawfordville, but definitely still worth the drive. At the farm you and a group of friends can saddle up and wander through the Floridian terrain. “It’s not something that you get to do very often and it’s not something that a lot of people think to do,” FSU alumna Molly Cloonan said. “It’s really easy to go. You just walk in, pay and you get to enjoy nature while on a beautiful horse for two hours.” Shake up your everyday life and try something new. 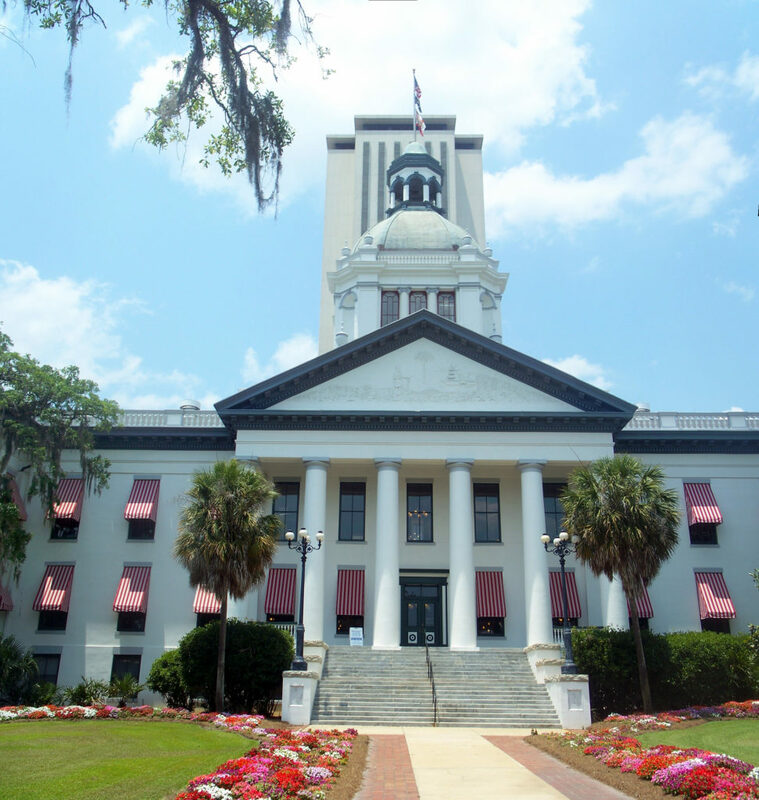 Tallahassee’s hilly landscape has many limitations for good views around town, but it really benefits you when you take a trip to the Capitol building. Climb to the Capitol building’s 22nd floor, a panoramic viewing deck, to see the hills present a vast, layered view that goes on for miles. Visitors and residents alike can take in all of Tallahassee in pretty much one stop. “I took my parents to the Capitol when they came for parents’ weekend. It’s crazy what you can see from up there,” Florida State University student Kailey Brown said. Aside from the view, the 22nd floor also includes a gallery of works from various Floridian artists. So, if the view isn’t enough for you, the artwork should be. 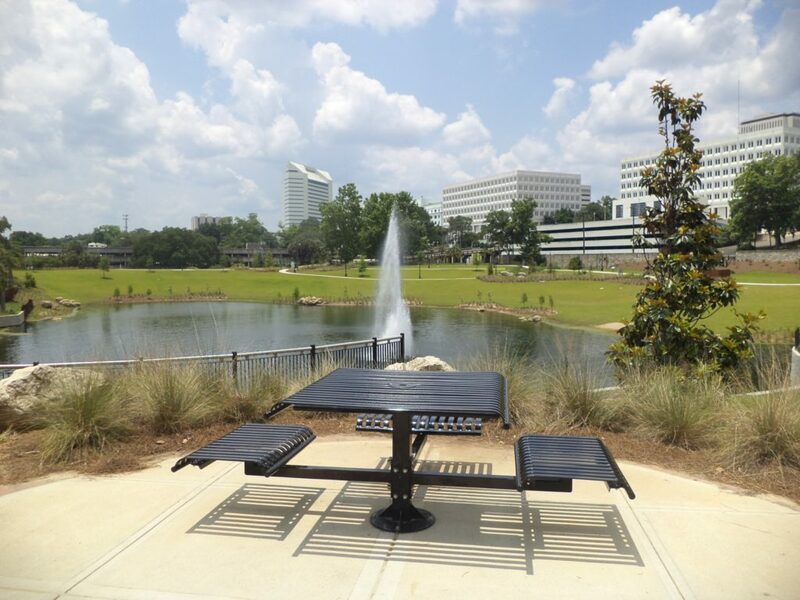 Another one of Tallahassee’s many parks, Tom Brown Park, intrigues many outdoor adventure-seekers, weather permitting.“Tom Brown Park has really good biking trails,” Florida State University student Mallory Morgan said. 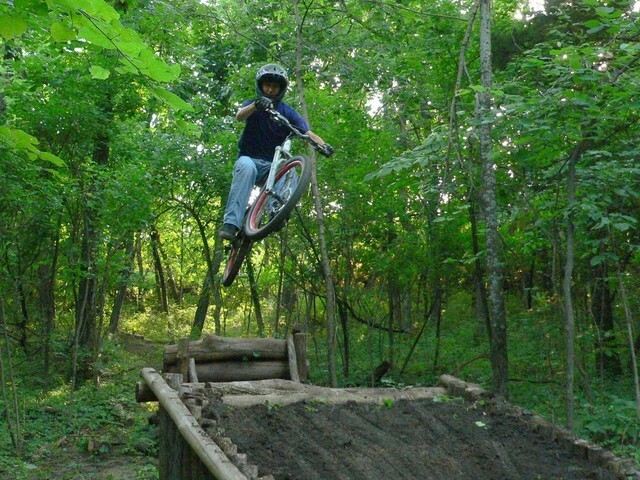 The park offers rigorous trails complete with dips, jagged turns and jumps for those of you risk-takers looking for a place to let loose. There are also easier trails for the less extreme where visitors walk their dogs and take in the woodsy scenery that Tallahassee’s famous for. Samantha Harward is a Senior at Florida State University studying English Literature. She loves traveling, hiking, reading, coffee and her favorite author is Chuck Palahniuk.